New Zealand is a place of wonders. And it is blessed with abundant nature and lush greenery. The cities & regions that form New Zealand are just spectacular. It's hard for a tourist to shortlist destinations in their itinerary before traveling down to New Zealand. But no matter how many days you're staying, New Zealand will give you a true experience. Out of many regions, Southland is one such place that is entirely filled with rolling hills and rugged coast. This place is well-known for bluff oysters and Stewart Island. Southland is located on the South Island and really well-known for tourism. Invercargill here is the largest center where the Queens Park & 80 hectares of walkways were constructed. The city won't disappoint you in terms of hospitality. So if you're looking for a perfect accommodation then Southland will give you the best hotel rooms or lodges/retreats. Southland is a region where mountain biking is really famous and it is meant for everyone. The highland trails are easy and very accessible that gives you stunning views along with your journey. Discover the amazing gold mines at Welcome Rock Trails which will take you back to know its history. Cycling around the region of Southland will give you some unforgettable memories. You can visit cafes, go to farms, talk to locals and make them friends and so on. World's Best Seafood – Bluff is one such city where travelers from all around the world visit. The reason why is because this city serves you the best seafood in New Zealand. It is particularly famous for local produce fish & oysters that taste's really good. Oyster Cove Cafe & Land's End Hotel are the places that you need to look out for. So if you're a seafood lover, then don't forget to add this place to your list. Also, Bluff is considered to be the oldest European settlement which eventually pulls tourist to come down & visit. Invercargill Craft Beer – At Southland, there's a plethora of delicious local produce which a tourist can enjoy. Locals here help you out with your food and gives you some authentic kiwi recipes that you can cook later in your homes. Invercargill Brewery is the place which every traveler should look out for. Try some of the fresh local crafted beers and get amazed by its taste. There's a variety of flavors too that you can find in these beers. Also, try some of the delicious sweets at 'Seriously Good Chocolate Company' and pack some of them to eat while you're on your way. Jet-Boating – Jet-boating is one such activity that will give you thrills all the time. Try jetboating at New Zealand's deepest lake Lake Hauroko in Southland and take adventurous memories away. 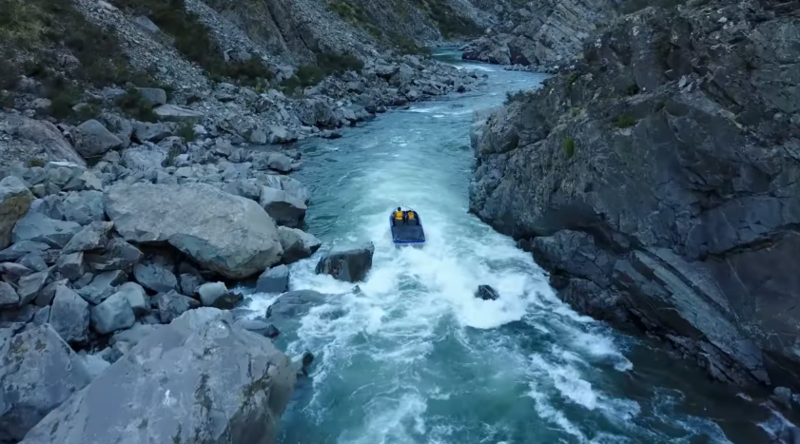 This jetboat ride will start from Lake Hauroko to all the way down to the Wairaurahiri River on the Southern Coast. In total, it is a 27km journey with a drop of 200metres at grade 3. The force of this water is really fast & rapid in pace which eventually takes jetboating to another level. Tuatapere – Tuatapere is blessed with lush greenery & rolling farmland and it is one of the silent places to visit. It sits right next to the Fiordland's mountains & wilderness. Tautapere is an unspoiled, untouched town where many travelers come here just to see the spectacular scenery & nightscapes. The famous Waiau River is the place where you can just sit & relax and spend some time. You can also opt to do kayaking here if you want. If you're a history lover, then Tautapere has a unique past. It's beautiful museums and art displays will explain you the town's pioneer history. Tautapere is also a perfect place for fishing & wilderness activities like jet boating, hunting, whitebaiting, kayaking, hiking and so on. So you have plenty of options or activities to choose from if you're here in Tautapere. You can also witness the magical expansion of Blue Cliffs Beach and Te Waewae Bay beyond the town. Lumsden – Lumsden is situated at the edge of Oreti River of Southland. This place is well-known for cycling routes such as 'Around the Mountains Cycle Trail'. This cycling route will take you through high country farms, rolling landscapes, mountains, rugged cliffs and beautiful rivers. Even if you're not a cyclist, then don't worry. This place is ideal for everyone. Wonder & explore down the mountains and get a glimpse of the whole town Lumsden. You also have a lot many cafes & restaurants that you can cherish after a cycle trip. Hey Justine. Thanks for sharing this. We are a newlywed couple planning a trip to New Zealand on our first wedding anniversary. Can you please tell us approximately how many days would be sufficient to experience Southland?